It’s got seven outlets islandwide, and fans of the smashed fried chicken dish aren’t abating. 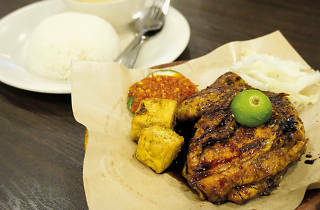 Skip the ayam bakar solo ($7.50) and go straight for the ayam penyet plate ($7.50). 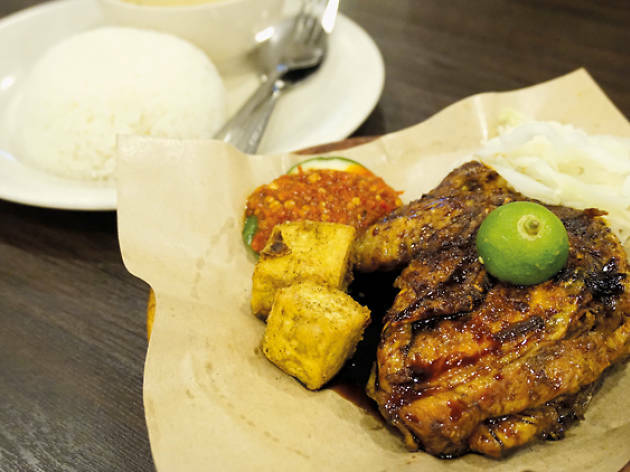 A crowd favourite, the chicken is boiled in turmeric and other spices for two hours to give it its heady flavours, then dunked in hot oil and served with fried tofu and some seriously potent sambal that’s sweet, tangy and fiery good.